The cost of production of foreign-origin equipment under a license by the state-owned manufacturers in India is more than the cost of importing it. It is argued that such additional cost is a small price to pay for achieving self-reliance. However there is a strong case for undertaking costs-effectiveness analysis for all manufacturing projects. A recent internal study of the Ministry of Defence (MoD) is believed to have brought out that the cost of each Su-30MKI aircraft made by the state-owned Hindustan Aeronautics Limited (HAL) is almost Rs. 150 crore more than the cost of getting it from Russia. The same report also points out that while the cost of making Hawk aircraft at HAL way back in 2004 was close to the cost of making it in Britain, it had almost doubled by 2016. If true, it raises several issues. The first obvious issue is as to why should the cost of production in India be so high? One possible reason could be that setting up of a production line entails initial capital investment which has to be amortised over the quantity ordered by the buyer. It is not known whether the price differential in the case of Su-30MKI is because of this reason or on account of some other reason, such as HAL requiring more manhours to make the aircraft than the Original Equipment Manufacturer (OEM). 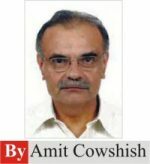 This possibility cannot be ruled out if one considers that one of the contentious issues that ultimately resulted in the negotiations for 126 Rafale aircraft getting deadlocked was HAL's assessment of manhour required for making the Rafale aircraft in India being almost thrice the assessment of the OEM. Even if one discounts the notion that it is on account of production inefficiencies, the fact remains that the cost differential of about Rs 150 crore per aircraft is too substantial to be glossed over. No systematic effort seems to have been made to determine whether this is a one-off instance of the production cost of a platform in India being substantially higher than the cost of importing the same platform or whether this is a more pervasive phenomenon across all, or most of, the Defence Public Sector Undertakings (DPSUs) and even the Ordnance Factories (OFs). While it is commendable that a beginning of sorts has been made with the study on the cost of production of Su-30MKI and Hawk by HAL, there is a need to carry out similar studies in respect of all major products made by the state-owned production agencies. It is important because with the limited defence budget outlays year after year, MoD can ill-afford to pay extra sums for products made by these agencies. The second issue concerns the view many hold that that even if the cost of making foreign-origin equipment in India under a license from the OEM is more than the cost of importing it, the additional cost of production is a small price to pay for achieving self-reliance in defence production and giving a fillip to the local industry. The view that licensed-production is the appropriate route for achieving self-reliance is questionable. India has been engaged in licensed-production for a long time, manufacturing a variety of equipment, ranging from tanks to aircraft. But this has made little difference in so far as self-reliance is concerned. Way back in 1990s, a roadmap was developed by late Prof APJ Abdul Kalam (later the President of India) to reduce India's dependence on imports from 70 per cent to 30 per cent over a period of ten-fifteen years. Almost a quarter of a century later, this goal remains elusive with India topping the list of arms importers globally. This is not to suggest that licensed-production has no use. For one thing, it is arguably the only and the fastest way of equipping the armed forces with the capabilities they need. The impact of licensed-production on manufacturing sector in India cannot also be denied. Apart from helping the main manufacturers/system-integrators, it does prop up the ancillary industry, generate employment and provide an opportunity to the Indian industry to integrate with the global supply chain. However, these cannot be the primary objectives of licensed-production. This also does not justify incurring of additional cost continuously for making foreign-origin defence equipment in India, regardless of any other long-term consideration, especially in the absence of an assurance that the additional costs are the bare minimum that must be incurred for licensed-production. The system of opting for licensed-production without any examination of the cost-effectiveness of the project is arguably not the best way of promoting defence manufacturing in India. Apart from spending the bare minimum additional cost for licensed-production, there must be other spin-off benefits which help the local industry grow into system designers and manufacturers/integrators, holding intellectual property rights over the critical technologies that go into making of the equipment, if not the product itself. At any rate, the question is whether the cost of development, the time it has taken, and production of these platforms would be comparable with the cost of development and production of similar platforms by other leading manufacturers in the world? Besides, there are questions over the extent of indigenous content these projects, as also in a large number of other defence systems being made in India. This is not to discredit Govt sector in defence production achievements or to say that India should continue to import foreign-origin platforms if it works out to be cheaper than the cost of making them in India under licensed-production agreement. The point essentially is that cost-effectiveness of licensed-production, and even indigenous design and development projects, should receive more attention than is the case at present. This brings us to the third issue which is as to how can the cost-effectiveness be ensured? Since the bulk of the defence equipment is made by the DPSUs and OFs on a single-source basis and very limited information about the cost of production and pricing is freely available, there is no telling how far the manufacturing done by the state-owned manufacturers is cost-effective either in relation to licensed-production or, for that matter, design and development. The problem is that any talk about cost-effectiveness often gets drowned in the outrage expressed by those who see this as an attempt to advocate continued reliance on imports. Nothing could be farther from truth than this view. Cost-effectiveness does not imply comparison of costs and selection of the least costly option. What it means is looking at the effect/impact/outcome of a project in relation to its cost. In other words, it means looking at the relationship between the cost inputs and the desired outcomes. A typical example would be the expenditure that companies incur on advertising with a view to boosting the sale. Clearly it would not be cost-effective if the increase in the sales revenue is less than the expenditure on the advertising campaign of the company. Admittedly, the example given above is too simplistic and determining cost-effectiveness of the investment proposals in regard to defence manufacturing projects is far more complex, but there is a strong case for undertaking costs-effectiveness analysis for all manufacturing projects. This will require a distinction to be made between the licensed-production projects and indigenous design-and-development projects. In both the cases, the cost-effectiveness must be assessed on various clearly defined parameters and not just on the vague notion of self-reliance in defence, which is a laudable objective but should not be achieved by diverting scarce financial resources in unthrifty licensed-production projects or for indigenous development of defence equipment in some indeterminate future at the expense of keeping the armed forces equipped to face the challenges the country faces in the present. The cost-effectiveness as well as the spin-offs of awarding the licensed-production or design-and-development projects to the public sector must be weighed against the possibility of achieving the same outcomes, and possibly much more, by awarding them to the private sector. In a broad sense, this is the key to ensuring cost-effectiveness of the money that MoD puts into such projects. Some sceptics argue that the private sector is not necessarily more cost-efficient and does not have the capability to undertake complex projects. There are several examples which disprove this. In any case, even if the notion about the private sector not being more cost-efficient and capable than the public sector is a myth, as many indeed believe, there is no harm in infusing an element of competition between the public and the private sectors, which will inevitably eliminate the cost-inefficient and incapable players from the race. The 'Make' procedure adopted in 2005-06 was indeed an effort to bring in an element of competition in regard to design and development projects. But nothing has come out of it so far. In regard to the licensed-production projects, although the Defence Procurement Procedure permits nomination of the private sector production agencies under the 'Buy and Make' category, no private sector agency ever got nominated, probably because of the absence of internal guidelines for their selection. Consequently, practically in all the cases, the DPSUs got nominated as the Indian production agency. Another effort was made by MoD in 2017 when it came out with the Strategic Partnership model to ensure competition among the private sector companies for what will essentially be licensed-production projects. But this too is stuck as the MoD is yet to sort out the methodology for shortlisting the Indian companies which have the potential to become strategic partners for major projects. The time has virtually run out for taking any major steps now as the next general elections are around the corner. However, it would be unwise, as is being reported, to undermine the efforts at infusing competition between the public and the private sectors through the mechanism of a pricing policy for the DPSUs. As per the reports, the Department of Defence Production (DDP) will fix the price of a product made by the DPSUs, which will thereafter not be subject to scrutiny by the Contract Negotiation Committees responsible for negotiating the price with the bidders. The details of how the price will be determined by the DDP are not known but probably the most striking feature of this policy is going to be lowering of the profit margin for the DPSUs. This may bring down the price a little bit, but it is unlikely to eliminate the flab that creeps into the DPSU prices on account of the production inefficiencies, including a heavy reliance on imported inputs that restrict value addition by the DPSUs to just about 15 to 20 per cent. Determination of price by the DDP which cannot then be questioned by the procurement agencies is not a good idea. For one thing, there is conflict of interest here as the DDP is supposed to promote defence industry in general and not just the DPSUs. Secondly, the system of in-house costing in the case of OFs has shown that this is not the best way to fix a competitive price. Thirdly, this policy will place the private sector industry at a disadvantage vis-à-vis the public sector, putting paid to the expectations of the private sector which was led to believe all along that the government wants to promote the private sector participation in defence production under its 'Make in India' initiative. In the ultimate analysis the pricing policy will end up skewing the uneven playing field further against the private sector. This goes completely against the grain of competition.